Isn’t this DIY mini IKEA lack shelf dupe just too cute? I think so. Add to it the fact that you can make two of these for approximately $15… I love it! 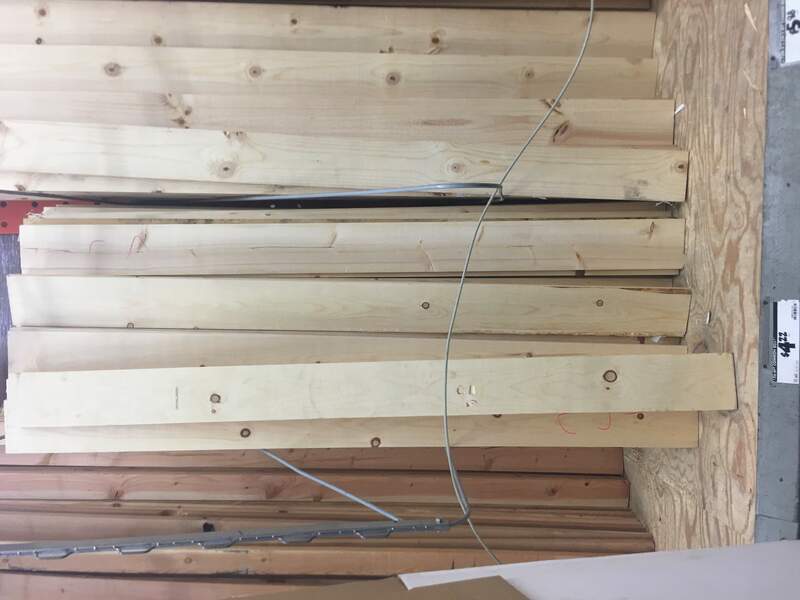 Wood – I purchased two 6 feet long boards from Home Depot. They were $4.22 each. 1/8 inch drill bit – (If you don’t have one already). About $2 at home depot. Spray paint – .97 at home depot. I purchased the spray paint but then ended up using some white paint I had at my house. Total: $13.51 (not including tax – and assuming you have a drill already) The cost of the items if ordered is slightly more expensive due to the convenience option. I went to home depot and picked up two 6 foot long boards. 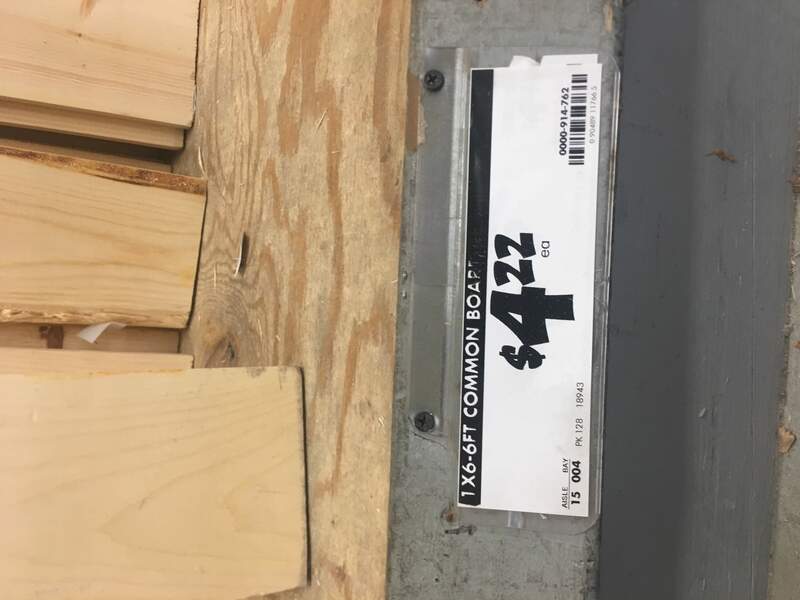 Each board was $4.22 each. I found a friendly associate who cut the pieces just like I needed them. I asked for one of the boards to be cut in half. So two 3 feet boards. For the other board, I asked him to cut them 6 inches in size. These 6 inch pieces would be the “shelves”. I was going to need a way to connect the shelves to the back board. 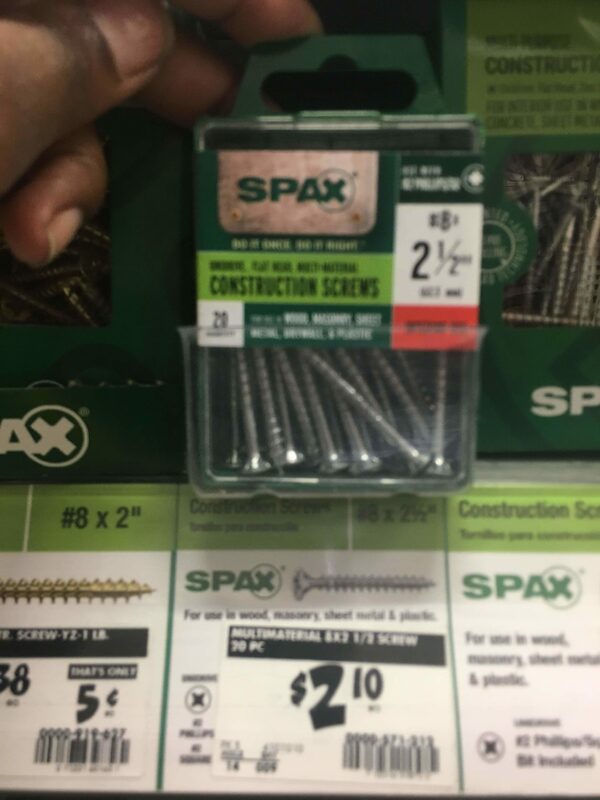 So I picked up some 2 1/2 inch screws. I also wanted to paint the shelves white to match the rest of my Ikea furniture in the closet. So I picked up some white spray paint. It was .97. It was this price for a reason. I didn’t like how it coated the wood and decided to use some left over white paint I already had at the house. Here are the written instructions: I marked on the board where I wanted the shelves to go. So basically I put a shelf on the top and bottom and spread the rest of the shelves out evenly. I drew pencil marks where the board should go and drilled the holes in the back board first. Once all of the holes were in the back board, I then put the small shelves where they should go and screwed them in. As you will be doing a lot of screwing, I chose to use my electric screwdriver at this point. But you can totally do this with your regular screwdriver and a lil elbow grease. All it needs now is a coat of paint in your favorite color. 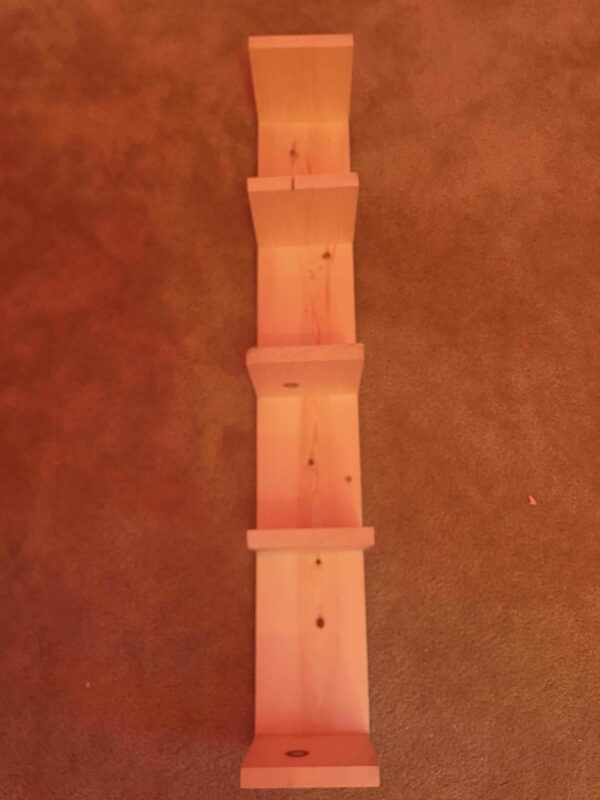 I will be sitting the bottom feet of this DIY mini IKEA lack dupe on my vanity desk and attaching it to the wall. I will place lil knick knacks on it like lipstick holder, perfumes and a picture of my heavenly Angel (my mama) on it. 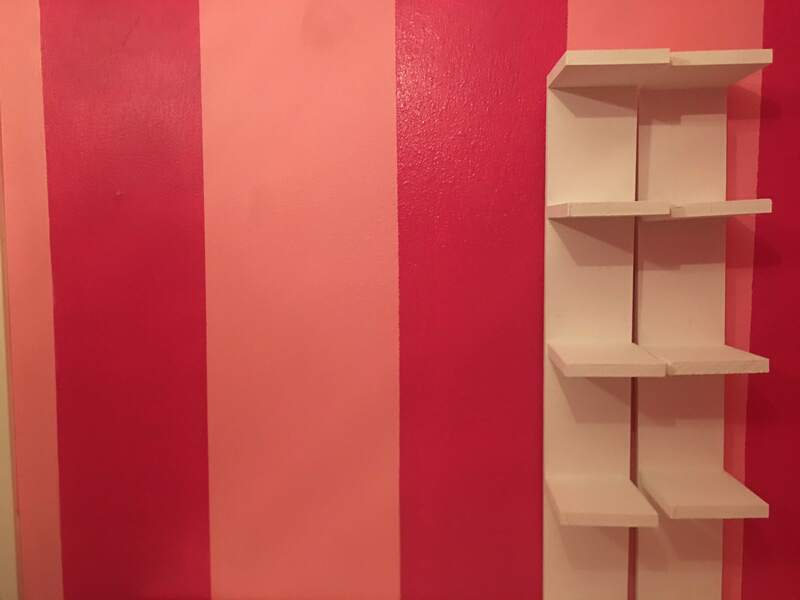 So, here is the painted shelves standing on my unfinished vanity desk. Once the vanity is complete and this is hung on the wall, i’ll update you guys. So, this was a really easy task to do. Do you think you will recreate these DIY mini IKEA Lack Shelf Dupes? If so, what color are you going to go with? Are you going to make it bigger or smaller? Let me know in the comments! Are these the same measurements as the ikea shelves ? Or close to it ? No, these are mini shelves. The IKEA Shelves are much larger. However, I am sure that you can make this in the larger size as well.